For zingy clean and lustrous locks with a beautiful natural scent and an invigorating morning wake-up, the intelligent solution is IQ Tea Tree Shampoo. Formulated to tingle and tease hair back to life and repair damage, this sulphate paraben free shampoo uses the purifying power of nature to cleanse your hair and scalp. This shampoo is packed with naturally antiseptic tea tree essentials oils and refreshing peppermint oil. It is enhanced by the nourishing power of Amaranth, so it strengthens from within for a deep clean that will not strip the hair of any of the natural oils. This product creates a zingy sensation when using. You will adore the tingly clean feeling and the gorgeous natural aroma. Directions :- Leave hair invigorated and full of vitality with IQ Tea Tree Shampoo. Apply evenly to wet hair and massage thoroughly, paying particular attention to the scalp. 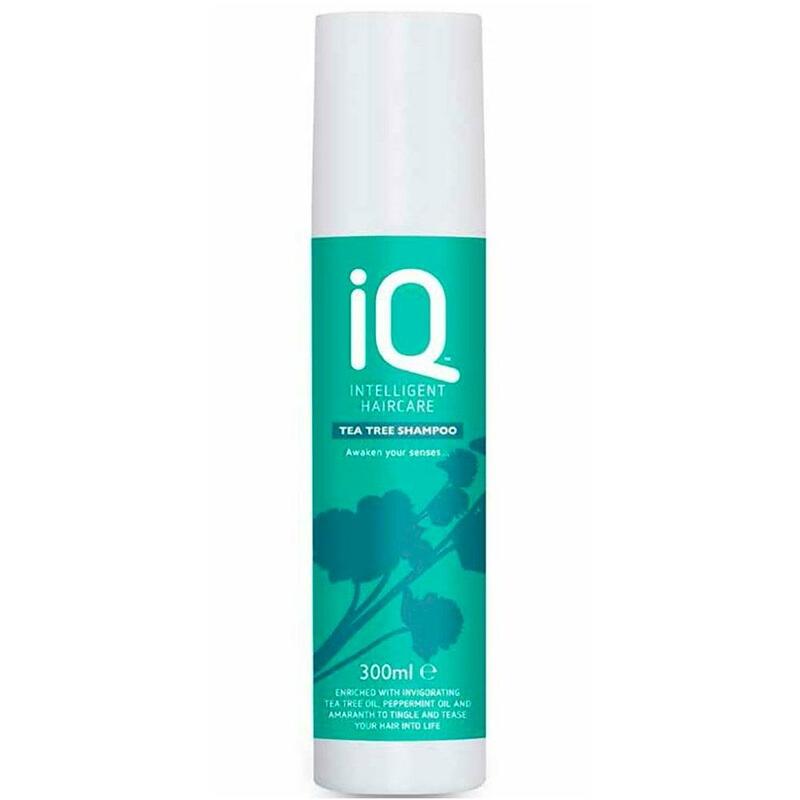 Complete your haircare regime with IQ Tea Tree Conditioner.